Article TL:DR? Try this chart instead. Now just plug in the numbers, bearing in mind to use the correct units. For this equation to work, temperature should be measured in Kelvin, which goes to zero at absolute zero, and the pressure is in Pascals. Which is slightly less than about the pressure supposedly measured in the balls by the officials at halftime. 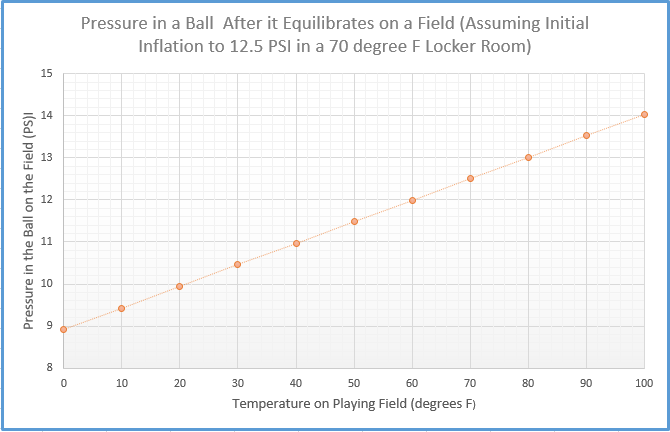 So, clearly, the Patriots balls could have ended well up below NFL leagues standard pressures, provided they were inflated in a locker room at a reasonable temperature and initially measured by officials to be at 12.5 psi before they cooled to the temperatures on the field. So who was guilty in DeflateGate? No one, unless you count the people who couldn't understand the math, or were simply were too lazy to do it, but screamed "Cheatriots!" anyway. And that's the final word on DeflateGate. On Tuesday the "storm of the century" rolled through the northeast of the United States and despite it not living up to the doom and gloom predictions, many places, including here in DC, received a decent amount of snow and ice. While walking through my local winter wonderland, I made a few observations which unsurprisingly all come back to physics. Here are three physics phenomena from snow and ice. The one person who really looks bad in the whole DeflateGate scandal is Bill Nye. No matter how you feel about Bill Belichick, Tom Brady, and the Patriots, one good thing that has come out of the DeflateGate scandal has been a national discussion of the ideal gas law, thermodynamics, and air pressure. When is the last time you heard anybody outside a high school or college science class bring up PV=nRT? And people aren't just discussing it, they're passionately arguing it, doing experiments, making calculations - it's amazing. Then along comes Bill Nye to throw some icy cold anti-intellectual water on the issue. I never could before have imagined Bill Nye being anti-intellectual, but here's the proof. See the portion beginning at 43 seconds in. Astronomers are building a global collaboration to identify recently discovered radio blips seemingly originating from deep space. 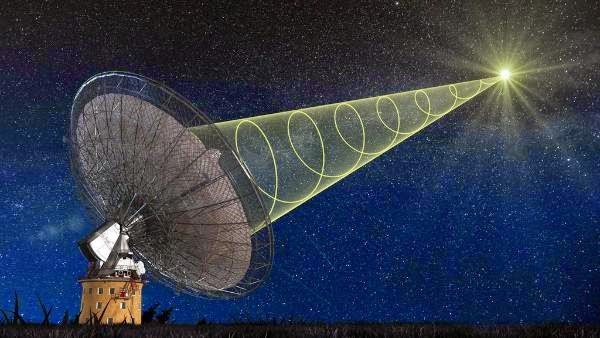 Called "fast radio bursts," or FRBs for short, these enigmatic cosmic signals have so far confounded astronomers, and are the subject of a growing effort to track and observe them. An artist's rendition of the Parkes telescope observing a cosmic radio signal. A lot of questions surround the origins of these strange signals, and astronomers are stepping up efforts around the world to identify where they're coming from. Each radio chirp lasts just a few milliseconds and were only identified after scientists went back and reviewed years-old data and found them hiding in plain sight. 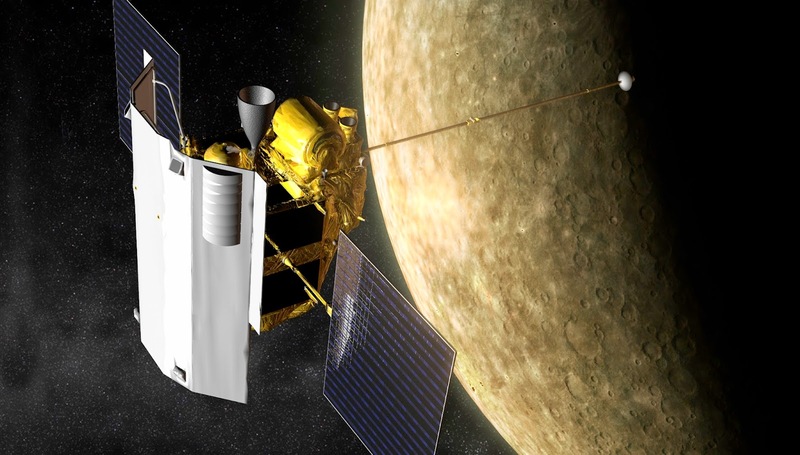 "We've known about these FRBs for a while but we don’t know a lot about them," said Emily Petroff, a PhD candidate at Swinburne University of Technology and organizer of the collaboration. Unfortunate news out of Pittsburgh this week. 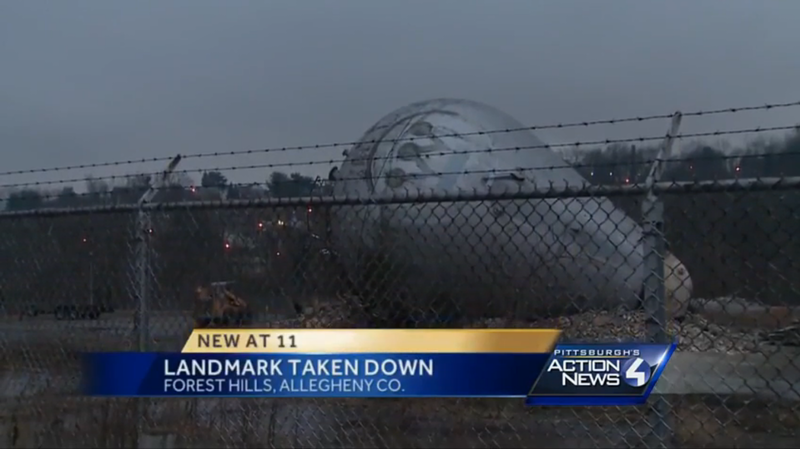 The nearly 80-year-old, long defunct Westinghouse Atom Smasher has been toppled. The felled Atom Smasher in Forest Hills, Penn. The five-story steel bulb was the first industrial particle accelerator ever built, and was the most powerful in the world when it was completed in 1937. Its unusual bulb shape is because it is an old Van de Graaff style electrostatic accelerator. The steel dome would build up a huge electrical charge, repelling positively charged ions down a beam tube onto an experiment or detector. It's a design that today is mostly obsolete, but a few modern accelerators use a version of the technology. The Physics Buzz team visited the site in November of 2013, and discovered more about it's history and design. It's not even the only one left over from the 1930s either. 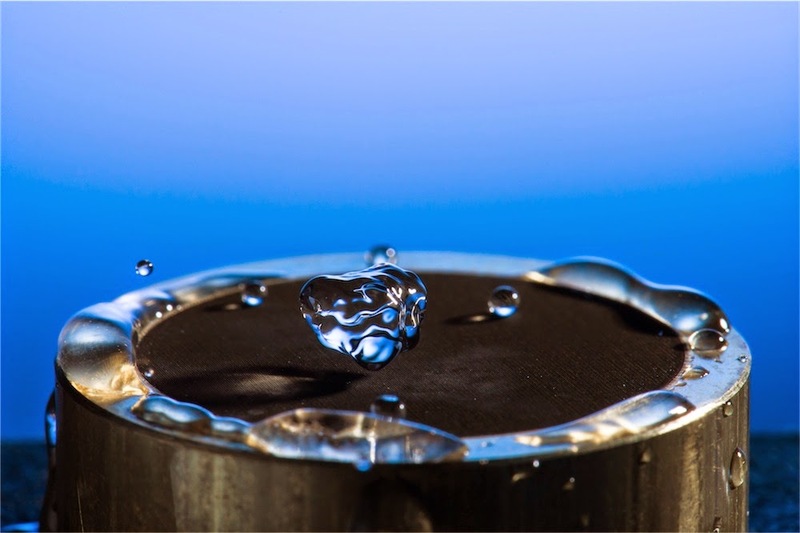 Scientists at the University of Rochester have created new metal surfaces that are super water repellent, using short intense laser blasts. Because these surfaces don't accumulate water, they are self-cleaning and resistant to both corrosion and ice, making them good candidates for solar panels, aerofoils, and even toilets. The researchers published their findings yesterday in the Journal of Applied Physics. Think you've seen this effect before? We'll explore how these new surfaces were made, what they can do, and how they are very different from two other effects you may be thinking of. A water droplet bounces off the hydrophobic laser-etched metal. The parallel micro-grooves are just visible. That smartphone you carry around in your pocket all day is a pretty versatile lab assistant. It is packed with internal sensors that measure everything from acceleration to sound volume to magnetic field strength. But I'll wager most people don't realize what their phones can actually do. 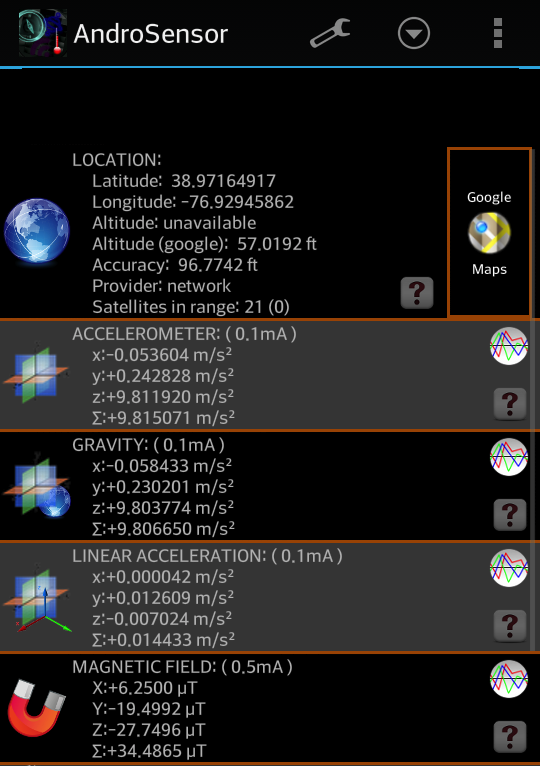 Apps like SensorLog (iOS) or AndroSensor (Android) display and record raw data from the phone's movement, any background noises, and even the number of satellites in the neighborhood. Watching this data stream across my screen, I'm reminded just how powerful a computer my phone really is. Wrapped into one, the smartphone is an accelerometer, a compass, a microphone, a magnetometer, a photon detector, and a gyroscope. More advanced phones can even measure things like temperature and air pressure. To explore the power of your phone, here's a simple physics experiment you can do at your local park. 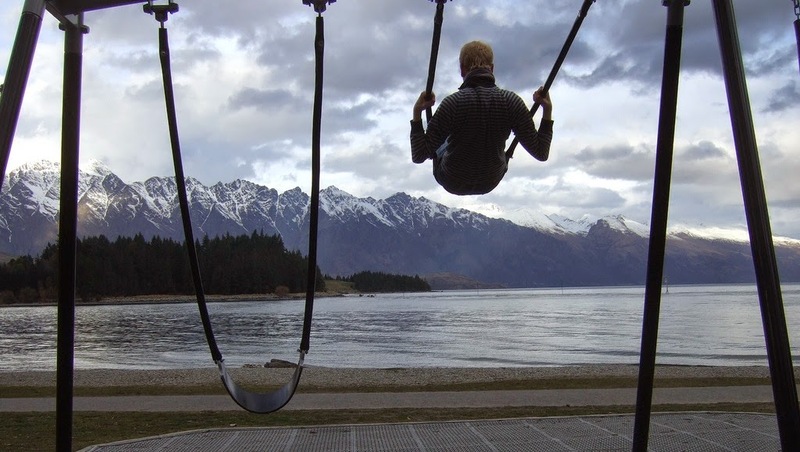 Simply by swinging on a swing and collecting a bit of data, you can measure the length of the swing without ever pulling out a ruler. I love Kojo Nnamdi's show on NPR. He's a smart, tech savvy, engaging host, and I almost always learn something new when I listen in. A few weeks ago, unfortunately, I learned that Kojo is not immune to falling for pseudoscientific nonsense. 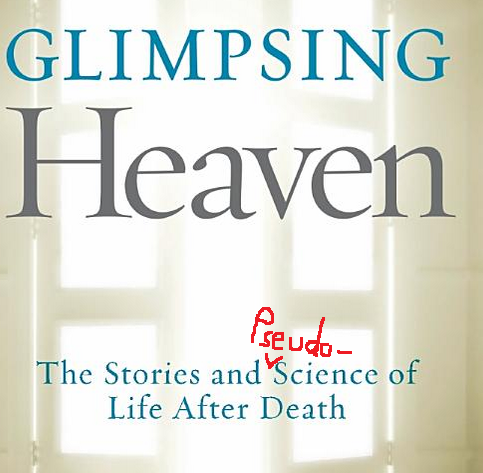 The topic came up when Kojo interviewed Judy Bachrach about her new book Glimpsing Heaven: The Stories and "Science" of Life After Death. Before I go any further, I want to point out that I added the quotations around the word "science" in the title because I can't bare to see the word abused the way Bachrach uses it. 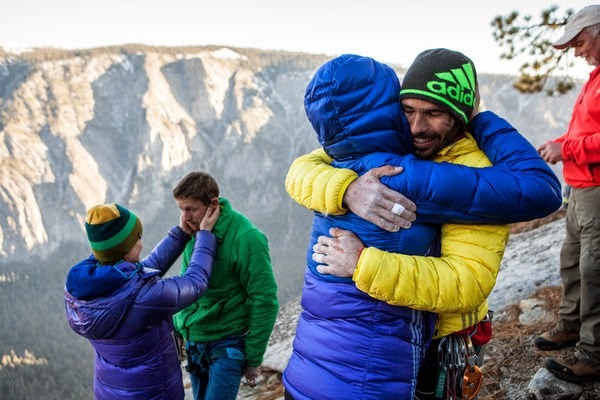 Yesterday afternoon in Yosemite National Park, rock climbers Tommy Caldwell and Kevin Jorgeson made history by completing the first free ascent of Dawn Wall, reputed to be the hardest climb in the world. Caldwell and Jorgeson owe their success to their remarkable perseverance, strength, technique, and also to three key bits of physics keeping them alive. Earth's magnetic field, which is generated by convection currents in the highly-conductive liquid outer core, has been documenting our planet’s past for billions of years. Just like that of a standard bar magnet, our magnetic field behaves, on average, like an axial dipole: it has a north pole and a south pole and the field lines connecting them follow a characteristic geometry. Thanks to certain magnetic minerals that are incorporated into rocks as they form, the orientation of this magnetic field is written into the rock record. On this week's podcast, we take a look at paleomagnetism to understand these magnetic signatures and what they can tell us about the past. 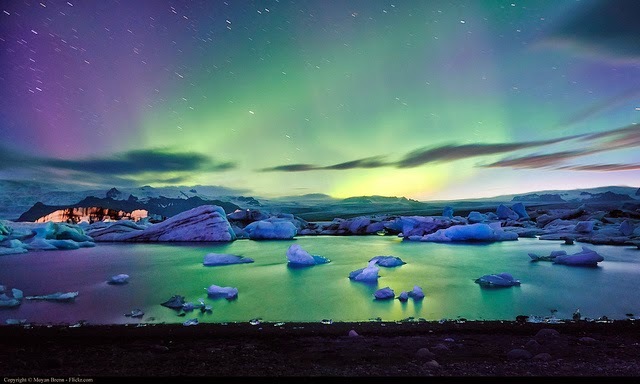 A view of the Aurora Borealis as seen from Iceland. If you've ever stood exposed and shivering at the end of a run, you'll know just how quickly the body loses heat without protective clothing. To prevent this, aluminized plastic blankets are a common sight at the end of races; they insulate from cold air and reflect back the body's heat. But these blankets are impractical and uncomfortable for daily use, trapping in moisture as well as heat. Using some basic principles of radiation reflection and a coating of silver nanowires, physicists have now developed a new type fabric which can keep you toasty warm and comfortable. So warm in fact that the authors think their insulating fabric could be a solution to the large amounts greenhouse gases created by wintertime indoor heating. (Inside Science) -- A laser could be created with air in a practical way, a new advance that could one day be used to help spot explosives or pollutants from afar, researchers say. Laser light is generated by pumping energy into atoms or other objects. A chain reaction can occur in which energized atoms all stimulate each other to give off laser light. One way laser light differs from normal light is that all the light waves in a laser beam are the same frequency — that is, color. Another difference is that all the light waves in a laser beam are coherent — the peaks and troughs of these light waves overlap exactly. These properties help laser beams focus on tight spots and stay narrow for long distances. The material that gets stimulated to generate laser light can be exotic in nature, such as ruby or sapphire. However, in principle, even air can serve as a laser — a normal laser fired into the atmosphere, dubbed a pump laser, could potentially stimulate air it passed through enough to make that very air act like a laser in return. Did I smell you say what I think I just smelled you say? 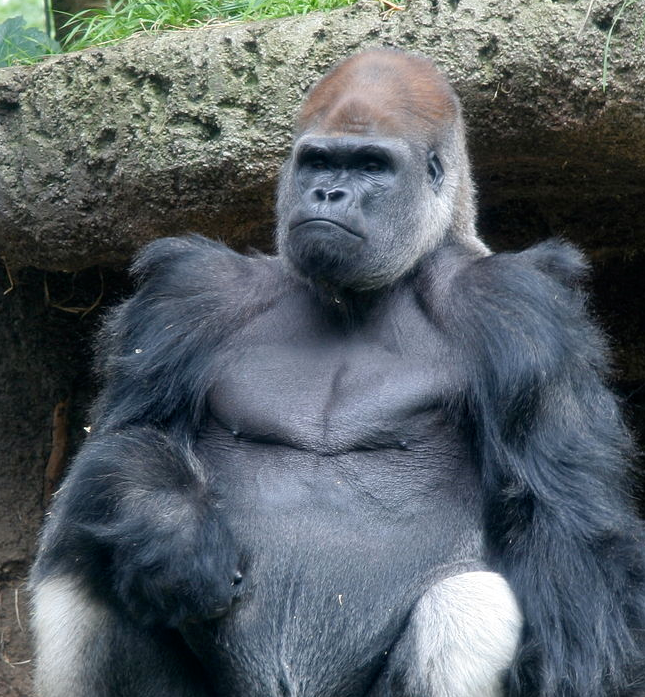 The researchers knew that a gorilla's emotional state is often indicated by the smell it emits. Fear, anger, affection and other forms of arousal or stress caused them to release various distinct odors. That's not terribly surprising - even humans can smell fear in other humans - but the study seemed to show that gorillas can actually control the smells they emit, apparently to intentionally communicate complex ideas to other gorillas. They can also quickly shut off their odors when it's better to be seen and not smelled, as may be the case when in the presence of large and potentially dangerous silverback males. Although the gorillas use smell for relatively sophisticated communication, the researchers argued that that the odors emitted by the gorillas they studied lacked the nuance necessary to be considered evidence of a true scent-based language. So what would it take to make the leap from rudimentary communication to an actual language? And would it be possible for humans to learn to understand a language consisting of smells? Maybe a little Fermi-problem estimation can provide an answer. 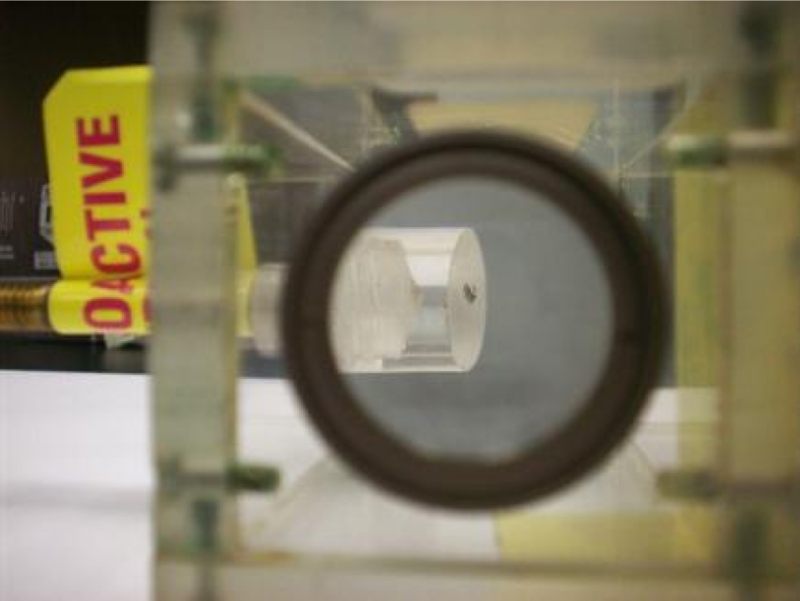 This is the first sample of plutonium big enough to be seen by the naked eye. Probably. There's a sticker on the side that claiming it's the first plutonium sample large enough to be weighed, but the papers documenting the origins of this atomic artifact have long since disappeared. Scientists at Berkeley have had to rely on nuclear forensics to substantiate whether this radioactive fleck was really produced in 1942 by the physicist who first discovered the element, Glenn Seaborg. "I am 99 percent sure that's what this is," said Eric Norman, a nuclear engineering professor at the University of California, Berkeley. "[But] we can't prove it unless you find Seaborg's DNA or his fingerprints on it." If this little radioactive fleck is actually the sample it claims to be, which seems likely, its historical significance is huge. Plutonium was one of the very first artificial elements created and a critical component for the first atomic bombs. Synthesizing this little grain was a monumental scientific achievement unto itself, and it left behind an atomic legacy that shaped the course of the 20th century. And its rediscovery is all the more remarkable because the fleck very nearly wound up in a landfill. Radiation is most infamous for its harmful effects on living things, but when used properly, it can have some beneficial effects as well. Radioisotopes, radioactive versions of ordinary elements, can trace the paths of substances through complicated systems and diagnose and treat diseases like cancer. 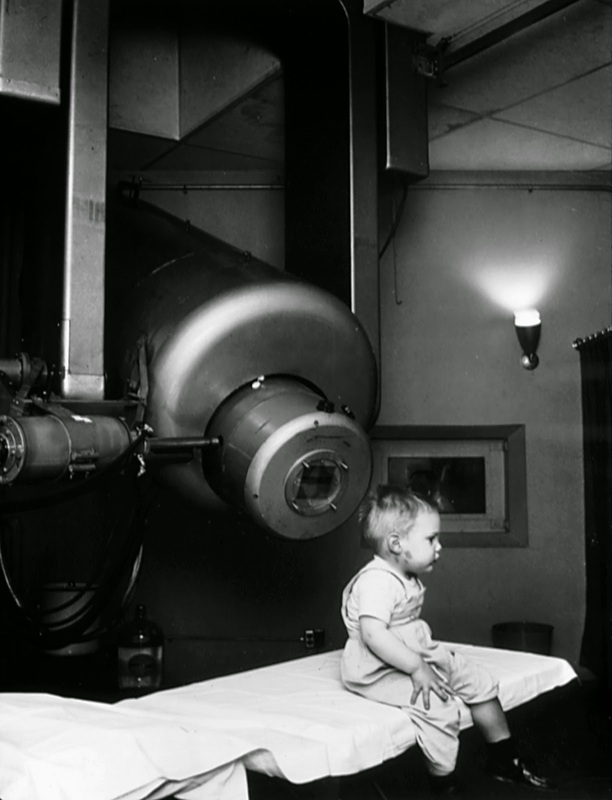 As Angela Creager highlighted in her book, Life Atomic and this week's podcast, much of today's radiation applications in medicine can themselves be traced back to the 1950s when the U.S. Atomic Energy Agency wanted to promote the peaceful side of atomic power. The idea of using atomic energy for medicine has been around since radiation was discovered. Some of the early treatments were quackery, but some haven't fundamentally changed very much over the years. Though its gone through numerous refinements over the years, teletherapy bombards cancer cells with targeted radiation. The flame tube, first described in 1905 by Heinrich Rubens and Otto Krigar-Menzel as a novel acoustics teaching apparatus, is a mesmerizing thing to behold. It is at once an early analogue to the oscilloscope, illustrating the nature of sound waves, and an alluring manipulation of fire that appeals to the pyromaniac in all of us. I had a chance to play with a flame tube over the holidays and had great fun blasting Wagner down the length of the tube and watching the row of flames dance in unison. But more than a cool background to music, the flame tube also highlights some simple physics of waves in a pipe. (Inside Science) -- While watching an action scene in a movie, most viewers are so engrossed in what is happening on the screen that they don’t notice that the actor has been temporarily replaced by his or her stunt double. Our brains are master multitaskers that keep us alive and help us recognize danger and yet both of these brain responses can help film editors "fool" the brain into thinking what we are seeing is seamless. 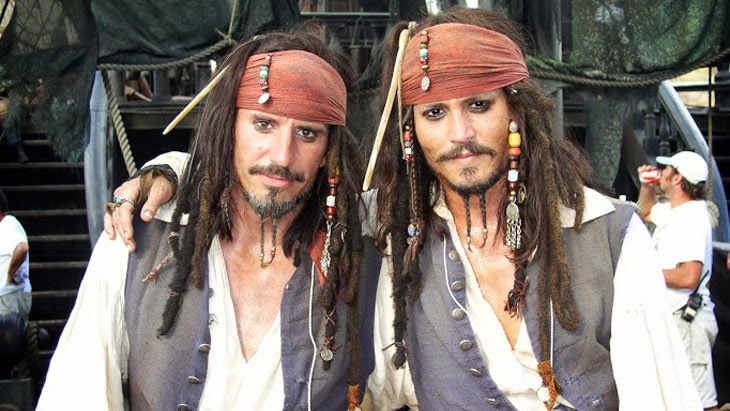 "We think we are seeing Johnny Depp portraying Jack Sparrow in the 'Pirates of the Caribbean' films, but it is actually his stunt double, Tony Angelotti," said Alina Liberman, a graduate student in neuroscience at the University of California in Berkeley, California. "Although this seems like a mistake that the brain should avoid making, it actually helps us see the world as more stable and continuous." Tony Angelotti stunt doubling Johnny Depp in the first ‘Pirates of the Caribbean’ movie. This brain vulnerability is actually a strength that film editors count on while sewing together the pieces that make up a film’s story. "I'm shocked at how much we can get away with," said Norman Hollyn, a professor of cinematic arts at the University of Southern California in Los Angeles. "If the audience is totally into the story and really interested, they will forgive a lot."